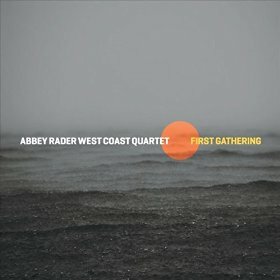 Abbey Rader is back with another release, this one the debut of his West Coast Quartet. 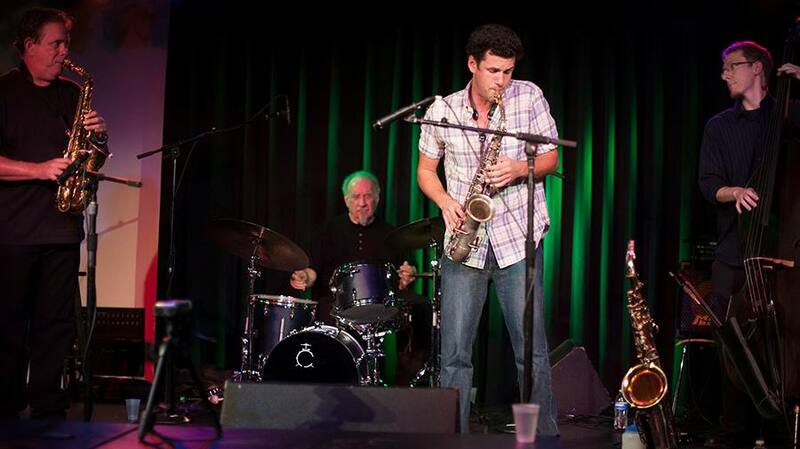 Featuring Drew Ceccato and Peter Kuhn on saxophones, as well as Kyle Motl on contrabass, Rader leads the group through four extended improvisations. Calling this music free jazz is not a bad place to start. On Foreign Dust, Ceccato and Kuhn head in two different directions, while Motl and Rader lay down contra-rhythms. The group plays together for a few seconds at a time, then splits apart. The saxes in particular set the tone with squeaky and punctuated leads. In contrast, Inward Light is an introspective piece, reflecting Rader’s spirituality. Motl’s bass growls and drones, while the saxes are plaintive. Slowly, the tempo builds until Ceccato and Kuhn are making distinctive angular statements under a busy drum and bass structure. A short track, Enduring Mind, starts with a blow-out, then evolves into a slightly more melodic approach. Realization to Truth presents bass harmonics, bowed bass, and atmospheric sax playing. Rader focuses on bells and chimes. With this compelling release, Rader has proven again that he has not slowed or mellowed over the last 45+ years. This may be the West Coast Quartet’s first gathering, but let’s hope there are further get-togethers soon. Herald Scotland profiled Evan Parker in anticipation of his Glasgow Jazz Festival performance. A lynchpin of European free jazz and improvisation, Bristol-born Parker played on such landmark recordings as the Spontaneous Music Ensemble’s Karyobin and Peter Brotzmann‘s Machine Gun, two 1968 albums which represent extreme ends of the genre: fluttering insect music and full-bore rammy. In addition to his collaborations with numerous figures in the worlds of jazz and improv, Parker has worked with cult pop artists such as Robert Wyatt, Scott Walker, David Sylvian and Spiritualized. He has also explored electronic music through his Electro-Acoustic Ensemble and collaborations with drum ‘n’ bass duo Spring Heel Jack. On Friday, June 19, at 8 p.m. at the West Village Meeting House in Brattleboro, Battle Trance will perform Travis Laplante’s Palace of Wind, a work that draws extraordinary energy from contemporary classical, avant-garde jazz, black metal, ambient, and world music. A genre-bending saxophone quartet, Battle Trance is led by Laplante and includes Matthew Nelson, Jeremy Viner, and Patrick Breiner.